Can Acupuncture alleviate seasonal allergies? Acupuncture & Herbal Medicine has been used to treat seasonal allergies for centuries with great success. According to traditional medicine, treatment is directed toward clearing the nasal passages, supporting the immune system and strengthening the systems of the body to prevent allergic reactions from recurring. 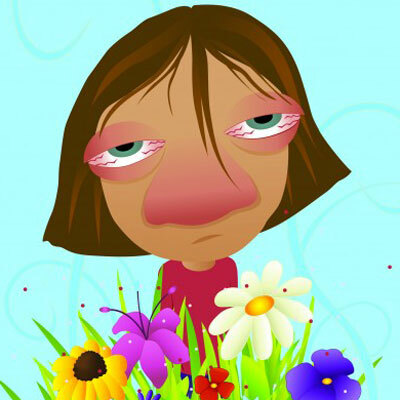 Spring is traditionally the main season when allergies blossom because of new growth on trees and weeds. Airborne mold spores can be found almost year round, along with other common allergens such as dust, dust mites, and animal dander. Seasonal allergies are caused by the body’s hypersensitivity to substances in the environment; Acupuncture & Herbal Medicine will calm your body response to these external irritants. When treating with acupuncture & herbal medicine, underlying imbalances within the body are addressed and a treatment plan is developed to relieve the acute symptoms of allergic rhinitis while also treating the root problems that are contributing to the body’s reaction to allergens. Treatments often include dietary modification, the use of specifically chosen herbal formulas, and acupuncture. To book your appointment to get through allergy season with Nikki Vanecek at TCM Wellness, click the link below! Now conveniently located within Family Focus Chiropractic in Chanhassen, MN. Start now and have a clear, peaceful, enjoyable spring and summer.